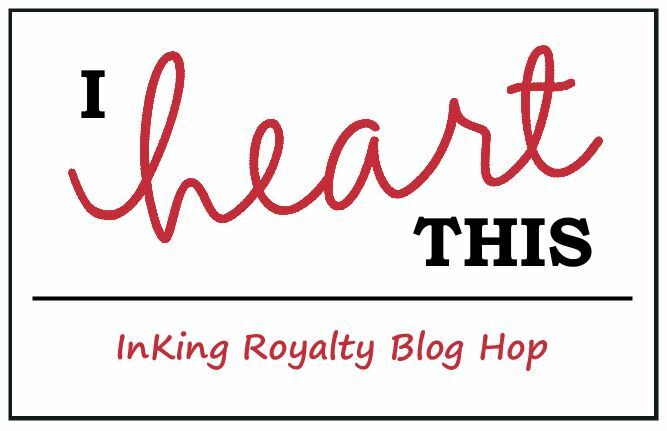 Welcome to the February InKing Royalty Blog Hop. We’re excited to share projects that share inspiration for Valentine’s Day and our love of Stampin’ Up! products. This hop is all about love. You may have started the Blog Hop here or may have hopped over from Candy Ford at StampCandy. After you read my post, I hope you’ll hop over to the next. If you get off track at any point during the blog hop, there’s a complete list of participants at the end of this post. I made this sweet little 3×3 love note for a very special someone. When I think of Valentine’s Day I always picture vintage styled cards. I love the simplicity and aged feel of a cut heart with a snippet of ribbon. It almost overwhelms me how the simplest of design can speak volumes. I also carried the same vintage feel to my gift box. 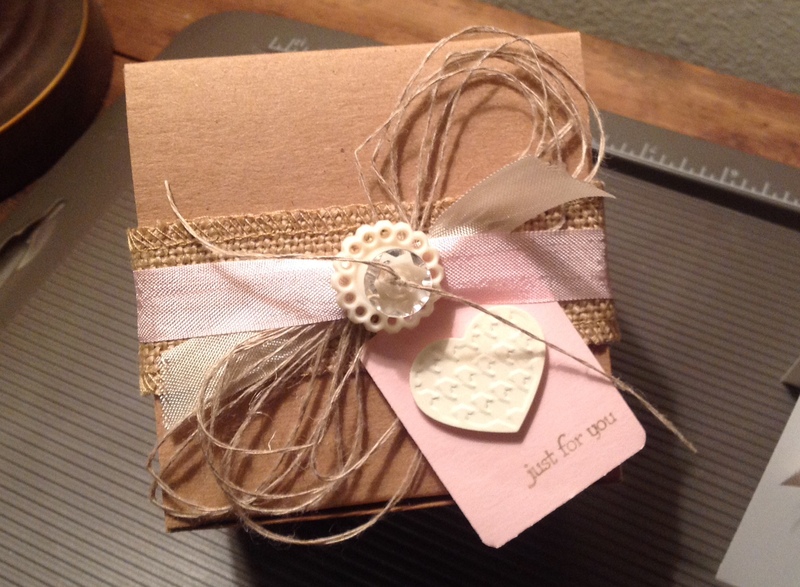 The burlap and linen thread add just the right balance of rustic to match the softness of the seam binding ribbon. 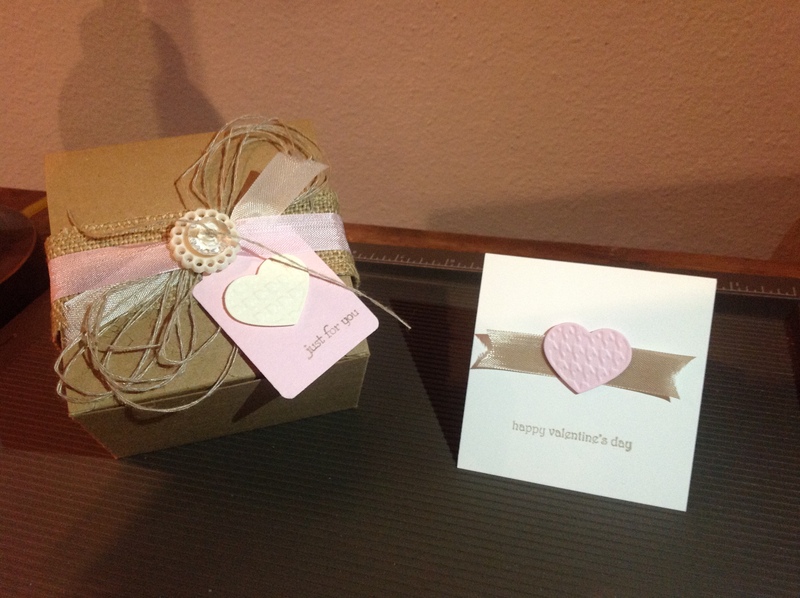 The box is filled with silver wrapped kisses, but how cute would it be if filled with a bunch of the 3×3 cards? The cards and envelopes fit perfectly in our kraft gift boxes. I think the pair look beautiful together and I hope the recipient feels all the love that I put into making these! The supplies I used are all found in the Stampin’Up! Annual Catalog. 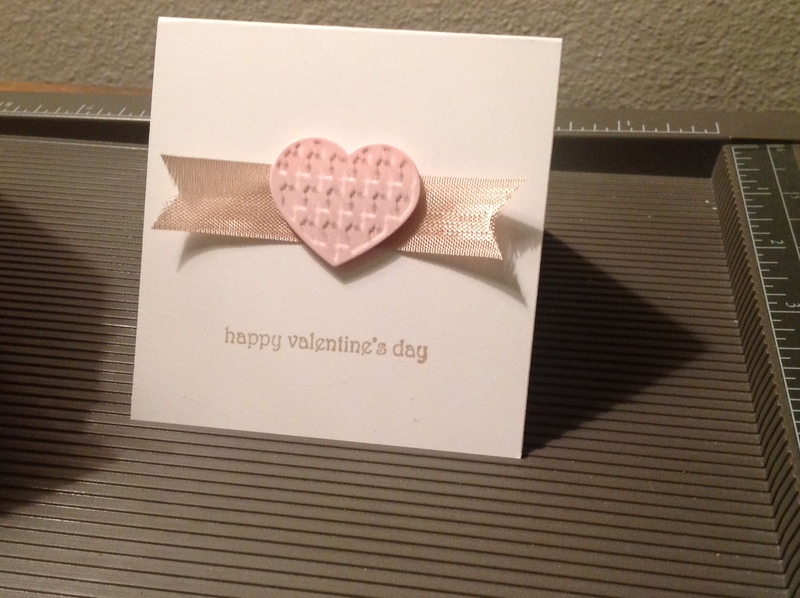 Card stock- Whisper White, Very Vanilla, Pink Pirouette. Ink- Crumb Cake. Seam Binding Ribbon- Crumb Cake, Very Vanilla, Pink Pirouette. Burlap Ribbon, Linen Thread, Buttons- Vintage Faceted, Very Vintage. Kraft Gift Box, Fashionable Hearts Embosslits. I used the Note Tag Punch that is in the Occasions Catalog for the tag on the box.